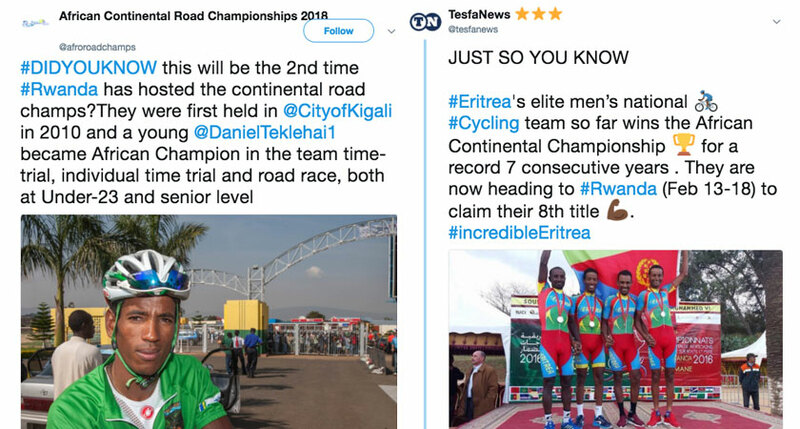 The Eritrean national cycling team is heading to Rwanda for the 2018 African Continental Road Championships. No other national team on the continent has so far managed to upset their absolute seven consecutive years dominance. African cycling powerhouse, Eritrea has named a star-studded final squad to compete at the 14th edition of the annual UCI Africa Continental Road Championships slated for February 13-18 in Rwanda. 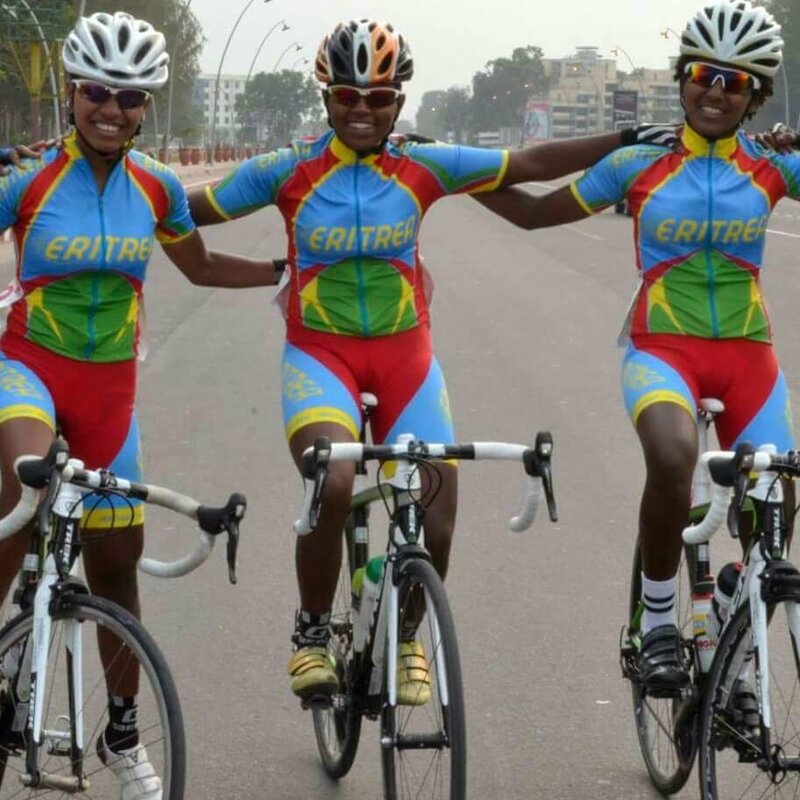 The Eritrean Cycling Federation released the squad on Monday night, which is composed of 17 riders, including eight U23 and elite riders, four elite female riders, one junior female rider and four junior male riders. The 2016 African cyclist of the year Tesfom Okubamariam, 26, who is one of the star riders to watch, will lead the 8-man roster for Eritrean U23 and elite riders. The two-time (2014 and 2016) champion in Elite Men’s Road, Tesform will be the first to win the highly rated accolade three times if he claims the title in Rwanda. The Eritrean women’s team is also eyeing their 3rd victory of the African Championship since they scooped it in 2013 and 2017. Only him and compatriot Natnael Berhane (2011 and 2012) have won it more than once. 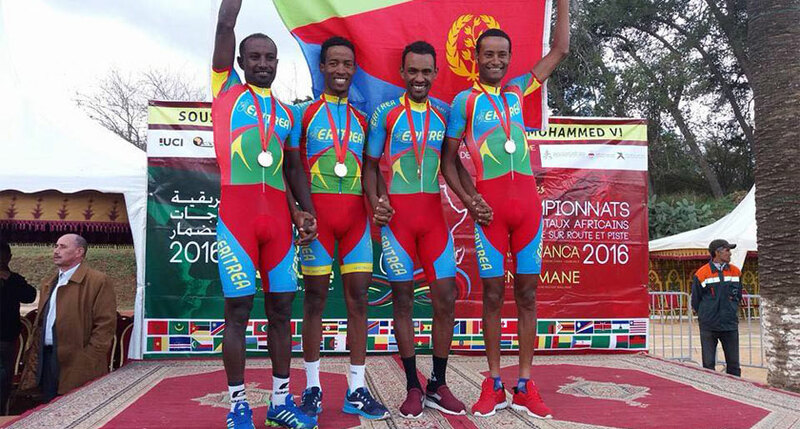 Mekseb Debesay, Amanuel Gebrezgabiher, Metkel Eyob and Simon Mussie will represent Eritrea in Team Time Trial (TTT) on February 14 before Mekseb Debesay and Amanuel Gebrezgabiher return in action the following day in Individual Time Trial, ITT. Eritrean riders have the Team Time Trial (TTT) for a record seven consecutive times since 2011.